Star Wars fans possibly looked at the puppet creature trudging along behind director J.J. Abrams on the set of Star Wars: Episode VII in the photo above and got their hopes up that the legendary Jim Henson’s Creature Shop finally was collaborating with the sci-fi universe on a story set in a galaxy far, far away. Well, let’s bring you back down to Earth. Representatives for The Jim Henson Company denied to SlashFilm that the Creature Shop – which keeps its creative fingers in many Hollywood pots – has any involvement in Star Wars: Episode VII. There was reason to believe this was possible. J.J. Abrams has been saying on record that it’s his intention to rely on practical effects whenever possible, putting his first Star Wars film closer in line to A New Hope and The Empire Strikes Back than to the digital chill of, say, Attack of the Clones. 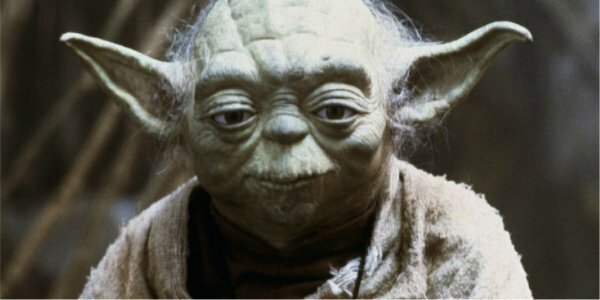 I was the one who kind of put all the elements of Yoda together, and although Jim [Henson] didn’t make Yoda, George [Lucas] and he had an understanding that they would exchange technology information. George would give to Jim and Jim would give some of his people to George to help. Wendy Froud helped out a little bit with the character and two other people from Jim’s company worked the cables for me." So there’s history between the two creative houses, just not enough to establish a partnership for Star Wars: Episode VII. Which might depress die-hards who were anxious for J.J. Abrams to get the best in the business as creature creation and manipulation when returning to the Star Wars universe. The company’s most recent credits include The Muppets movie, The Hitchhiker’s Guide to the Galaxy, and Where the Wild Things Are. On television, they have worked on Sesame Street, The Sunny Side Up Show and BBC’s Me and My Monsters. They just aren’t working on Star Wars: Episode VII. I wonder who is?